Paros is a Greek island in the Aegean Sea. In the past, Paros was famously known for its white marble. The marble quarries may be abandoned today, but the island well-known these days for being a hot tourist spot. Paros island is home to museums, historical sites, picturesque villages, and many interesting places to walk and explore. 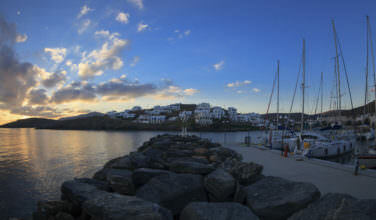 When visiting Paros, you must be sure to see Golden Beach. Here’s what you should know about visiting Golden Beach. 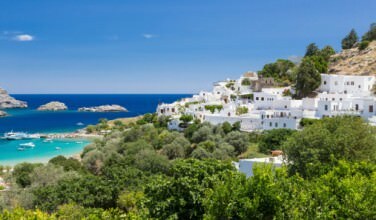 The most common way to get to Paros island is to fly to Athens, Santorini, or Myconos. You can then take a ferry to Paros island. When on Paros island, you can take a bus from the airport to Parikia and another bus from Parikia to Golden Beach. You can also drive to Golden Beach if you’ve rented a car. There is parking available near the beach. Golden Beach is a 700 metre long beach on the south eastern part of the island of Paros. It’s name comes from its fine sand that has glass elements in it, which provides a shining effect when it’s sunny. Golden Beach has been awarded the blue flag, which means it meets stringent standards set by the Foundation of Environmental Education. Sun-beds and umbrellas are available at the beach. Golden Beach is perfect for people of all ages. There are hotels and a number of restaurants in the area if you wish to spend a few days at the beach. 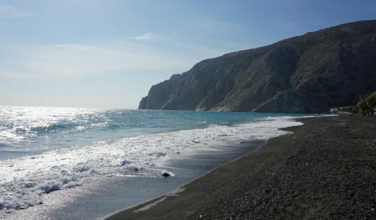 Golden Beach is known for being windy and both inside and outside the small bay. Due to these conditions it’s an ideal spot for wind-surfing and kite-surfing. Every August the Professional Windsurfing World Cup is held at the beach. The event attracts many windsurfing celebrities. If you’re an avid wind-surfer or it’s something you’d like to try for the first time, Golden Beach is the perfect place for you to spend time. There are other things to do besides wind surfing and kit surfing! There is also diving center and surf club on the beach. You can even take a cruise around the area if that’s more your speed. If you’re not into water sports, you will enjoy lounging on the soft, sandy beach watching others out on the water and go swimming and splashing in the pool-like water. In the area near Golden beach there are a number of places for you to grab a bite and drinks. Blue Restaurant Bar serves Mediterranean and Greek food. There are also vegetarian and vegan meal options. The ambience and scenery while you savour the amazing food is worth the visit. 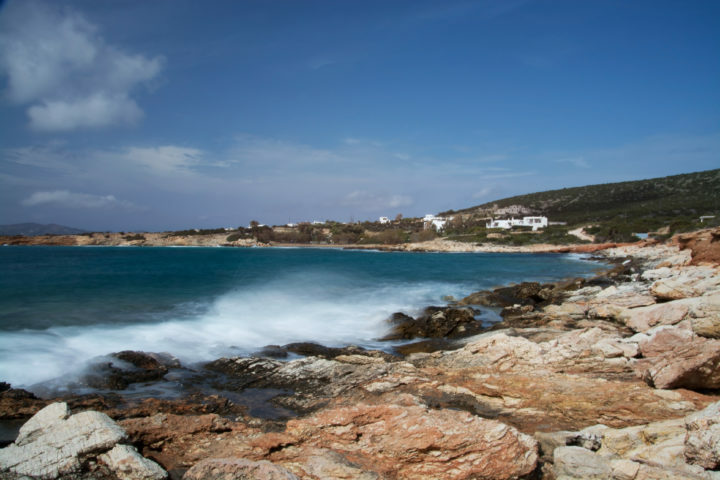 Just steps away from the beach, Stella’s Taverna is the place to go if you enjoy seafood. They also offer Greek and Mediterranean dishes. Vegetarian meals are available. Less than 3km from the beach you will find Mango Pizza & Pasta. Golden beach on Paros island is a must-see. The beach and surrounding area have much to offer if you love the beach, good food, and beautiful scenery.